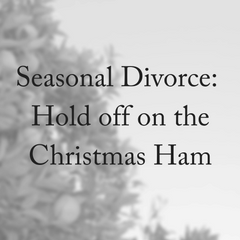 It appears that seasonal divorce really is a thing, according to new research. Holidays are supposed to be a time of relaxation and celebration, but for many couples it can be the tipping point for their relationship. While spring and autumn seem to be the most popular seasons for getting married, divorce appears to have it’s own season as well. Christmas holidays have just lost a bit of their shine. Well, it just seems that the writer of Ecclesiastes may have had a bit of life experience. Apparently King Solomon had 700 wives and 300 concubines (although why you’d want that many spouses is anyone’s guess). I wonder whether he noticed particular times when his relationships with his wives were more strained than at other times. New research from the University of Washington that has identified the season when most couples are ‘breaking down’ and ‘refraining from embracing’. There really is a season for everything. 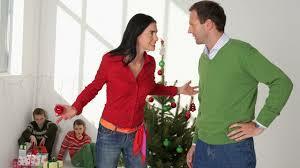 Sociologists from the University of Washington claim to have quantitative evidence of a seasonal pattern of divorce. They analysed divorce filings in Washington state between 2001 and 2015 and found that divorce really does peak in the holiday season. 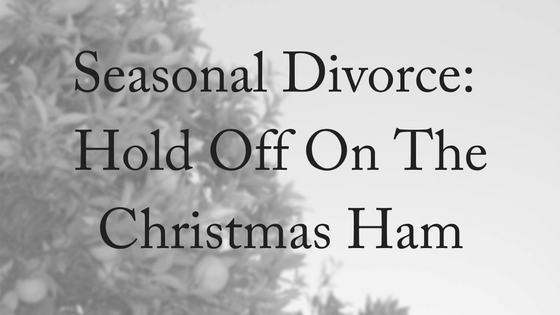 It’s called seasonal divorce. Associate professor Julie Brines says a holiday can expose “fissures” in a marriage. She says holidays can be emotionally charged and stressful for many couples and when they don’t live up to expectations it creates disillusionment in an already unhappy relationship. 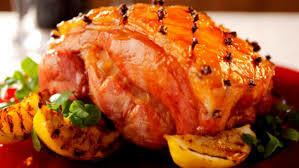 “People tend to face the holidays with rising expectations, despite what disappointment they might have had in years past. They represent periods in the year when there’s the anticipation or the opportunity for a new beginning, a new start, something different, a transition into a new period of life. It’s like an optimism cycle, in a sense. They’re very symbolically charged moments in time for the culture,” she said. There’s the stress of packing, organising what happens to the kids and the family pet, plus the added financial pressures. Couples tend to bottle everything in during the year and by the time January comes around they just snap. Most family law firms report that every year, there is a marked rise in enquiries and instructions in January from people who have decided that the time is right to separate from their partner. Financial pressures are also known to be key issues in arguments at this time of year with 40% of parents admitting that this was causing strains in their relationship. So it appears that seasonal divorce peaks in January. Perhaps this is why the second busiest month in Australia for divorce filing is September. The memory of the previous summer holiday spurs people to act before the next one arrives. The author of the study notes that the arrival of spring seems to encourage people into action. Suicides also tend to peak in spring, and some experts have said the longer days and increased activity elevates mood enough to motivate people to act. Brines wonders if similar forces are at play with divorce filings. Perhaps it is these factors, and the dread of dragging it out through another family Christmas that has some influence over the Australian spike in seasonal divorce in September. According to counselling psychotherapist and relationships expert, Dr Karen Phillip, having an effective conversation about your marriage is a must. Communication is essential to any healthy relationship and often we don’t carve out the time we need for those conversations to take place. Once resentment and bitterness creep into a relationship it often spells the start of the end of that relationship. It’s much better to start talking sooner, before those feelings begin to appear. Sometimes it takes time to learn how to talk well with one another and seeking the advice of a professional counsellor or relationship expert can be a great move in honing your relational communication skills to a healthier level. Not all of us were shown well as kids what healthy communication looked like. What we picked up from the adults around us needs to be untaught so that we can connect and understand well with not just our spouse, but our whole family. Even if we know we’re going ahead with a divorce, these skills will only help in any negotiations for separating well. Our seasoned family lawyers are more than happy to answer your divorce questions. We offer a free, 10-minute phone conversation. Please contact us today!